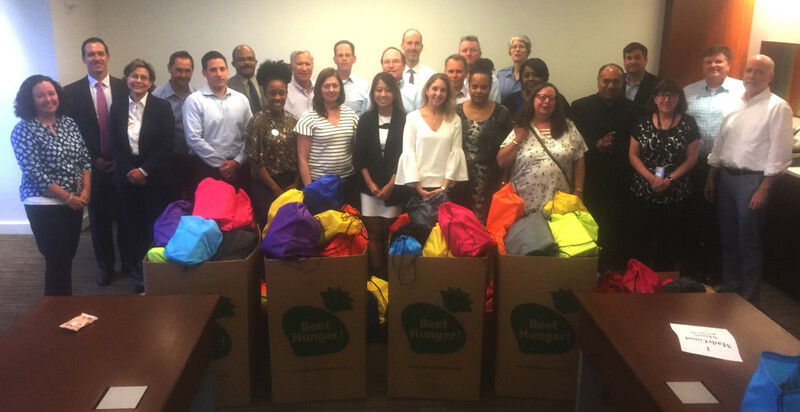 For the third consecutive year, White and Williams' Philadelphia Office held a food drive to support local children who face hunger during the summer months. 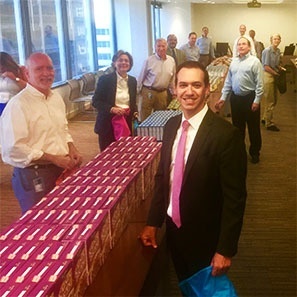 Working closely with Philabundance, lawyers and staff came together to donate funds to provide more than 10,000 meals to their neighbors in need as well as prepare 200 snack packs for local children. According to Philabundance, more than 400,000 children across the Delaware Valley risk going hungry as school lets out for the summer and they lose their school breakfasts and lunches. The organization's KidsBites LunchBox program aims to fill the summer meal gap by offering free and nutritious meals at various locations across the Greater Philadelphia Area. The funds raised by the firm's food drive will support this important initiative. To culminate the two week-long food drive, firm volunteers spent time packaging food sourced from partners of Philabundance into snack packs to be provided to children at a local distribution center. This year, the firm quadrupled last year's output of snack packs, assembling 200 to help feed local children in need and also included a school-safe item made in a facility free from the most common allergens, peanuts, tree nuts, soy, dairy, egg, fish, shellfish, gluten and sesame. White and Williams is committed to giving back to the community and is especially passionate about supporting children, specifically through its Adopt-a-School Initiative.